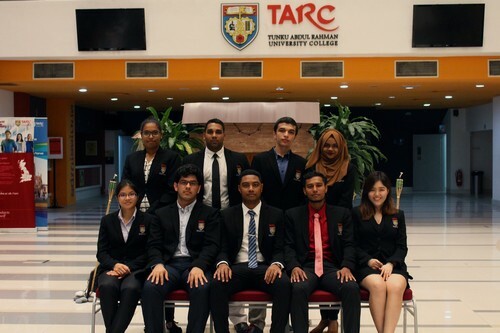 TAR UC International Student Society represents the international student community on campus, with the aim to celebrate cultural diversity, and promote friendship among students of all nationalities. The International Student Society lends assistance and a voice to international students to resolve any matters pertaining to student life. The Society also serves as a medium of communication between its members and the governing bodies of the Institution. All international students are members of the International Student Society and can attend any events or activities organised by the Society. 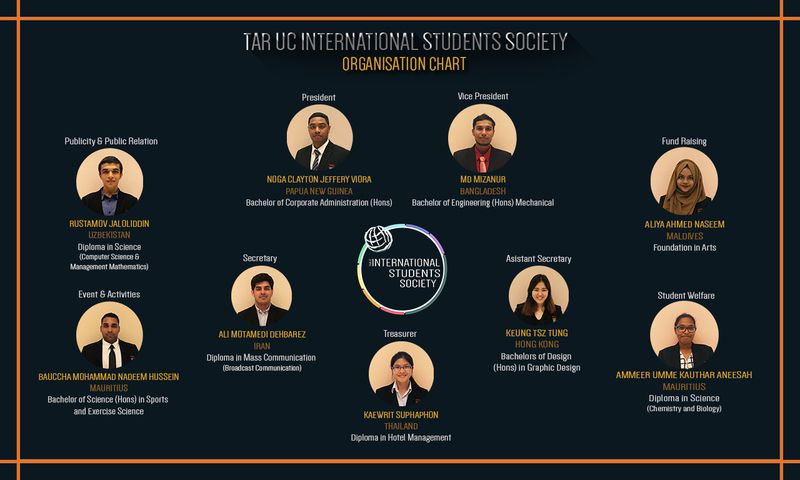 However, the Executive Team consists of members elected for a period of one year, by international students. The Executive Team comprises of the Executive Committee and four (4) Standing Committee members.